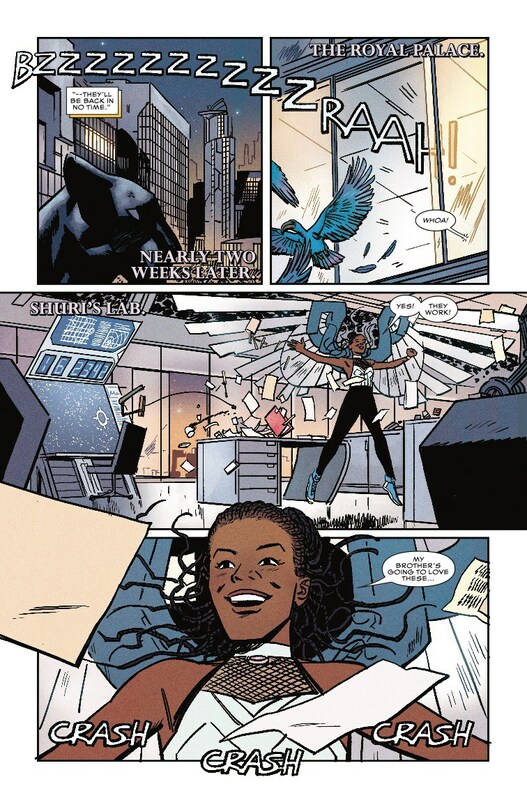 Posted on June 30, 2016 by thelostlighthouse	in Comics, Literature and tagged Black Panther, Brian Stelfreeze, comics, comics reviews, Laura Martin, Marvel, Marvel comics, T'Challa, Ta-Neshi Coates, The Lost Lighthouse, TLL, Wakanda. This week I was faced with an interesting choice of comics to review. You’ll see a lot online talking about Captain America: Steve Rogers #2, and no new series caught my eye. 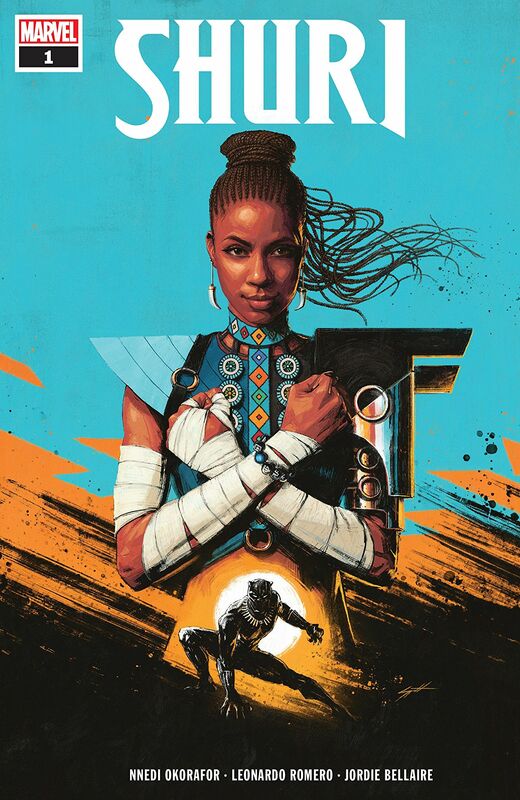 Fortunately, one comic stood out to me out of the regular bunch I was due to pick out this week: Black Panther #3, written by Ta-Neshi Coates, art by Brian Stelfreeze and colours by Laura Martin. The issue picks up from Tetu’s point of view. He’s the leader of the Nigandan army who earlier in this arc incited a riot in Wakanda. He feels T’Challa (Black Panther) has been neglecting his duties and his traditional routes. 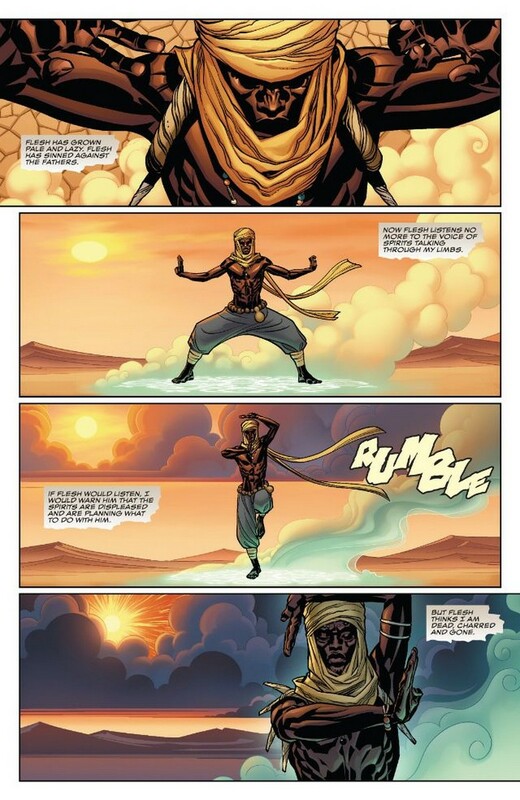 He sees himself as the spirit of Africa and T’Challa as all that is wrong in the modern world. The comic proudly portrays the spiritual connection in African traditions, backed up by vibrant colours. T’Challa is struggling with his duties as leader of a country, he fights for the world and his country, in the meantime there are so many other fires he doesn’t have the time to put out. There are a few plot threads at play here, and although separate they each feel important to the overarching narrative. As for the art, Stelfreeze has produced something special here. So many individual panels stand out as miniature masterpieces and somehow makes the scene somehow feel like it’s all a part of something much larger, complementing the narrative. The desert scenes in particular at the beginning and end stand out for me. Can Stelfreeze draw hands? Yes. Yes he can. I was surprised when I took the time to look, not that they looked good (the rest of the art had already confirmed Stelfreeze’s skill as an artist) but at how well he was able to capture the personality and gesture of each character in their hands in every scene. The gesture communicates both the character as a person and what their currently saying. So yes, 10/10 for hand drawing skills! 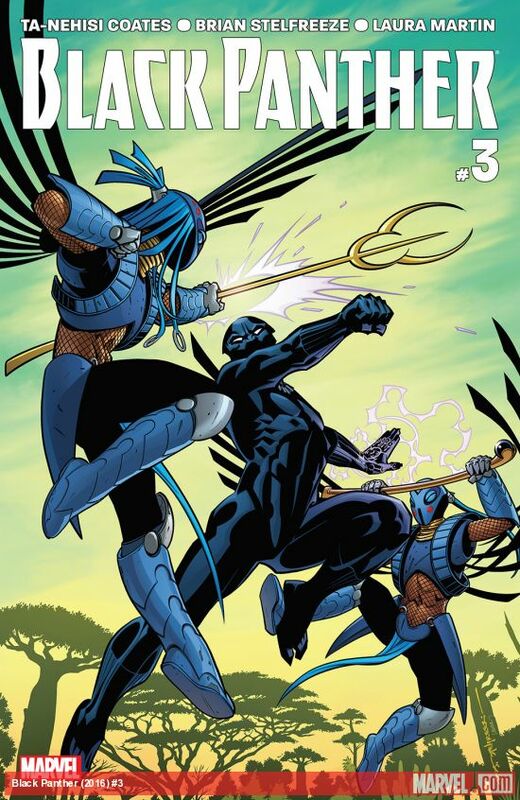 Black Panther is one of the series I look forward to every time it comes out. Yes this is issue 3, but it’s probably the best so far in the current run. I seriously recommend picking up issue #1 and catching up if you aren’t up to date already.